Faith—Weighing in at 90 pounds, I’m a petite Bernese Mountain Dog. I started my life on Labor Day in 2008 as the littlest in the litter. In fact, my name was LoLo (for my low-low birth weight). I became Faith because my first family believed in me. When I was eight months old, hu-mom needed me and I came to live in Park City, Utah. I love to lean on people. I don’t understand size. I think I’m a lap-sized, like the rest of the horde. I keep busy sleeping under the bed, leaning on the neighbors and being beautiful, but I’m the most proud of the fact that I helped my little brother, Gus, become a dog. 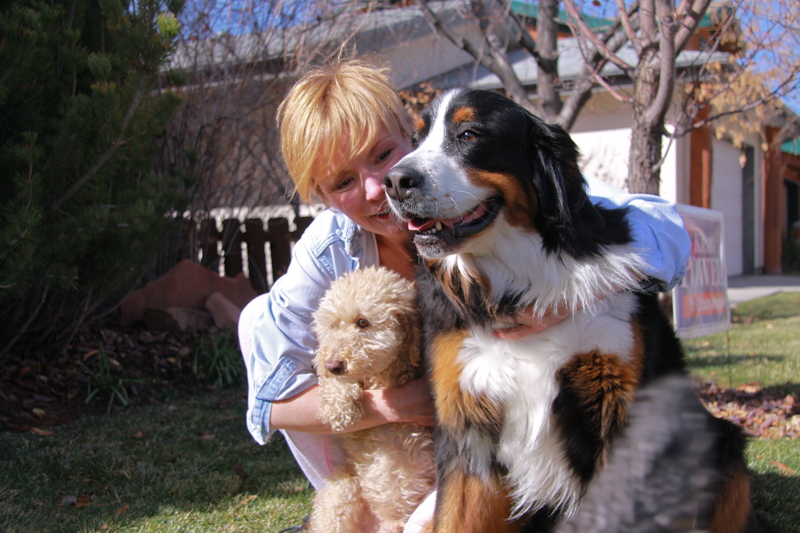 This entry was posted in Uncategorized and tagged Bernese Mountain Dogs, Faith. Bookmark the permalink.